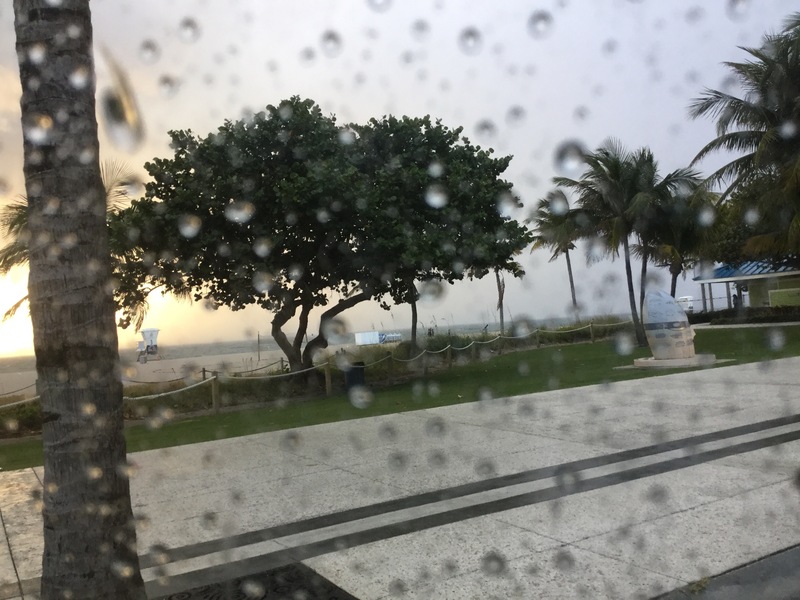 Sunday for Pompano will not be rain free like Saturday was. 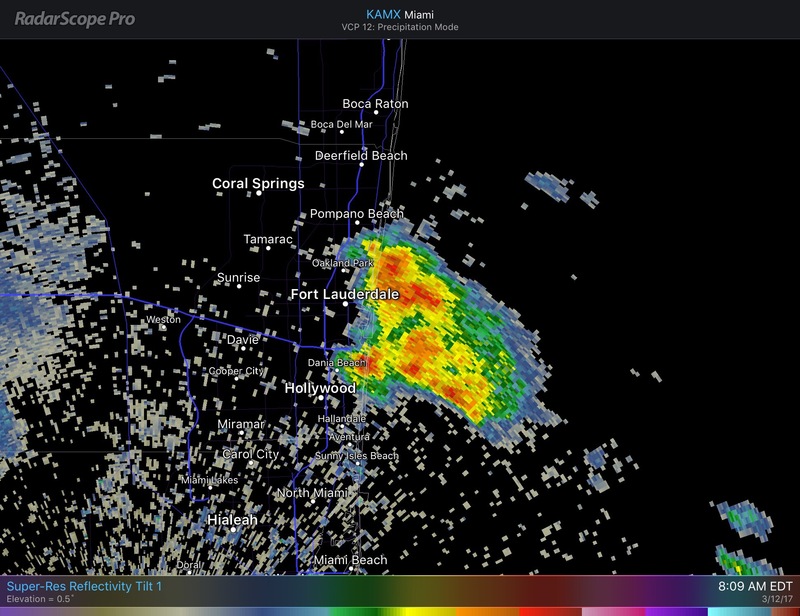 In fact at this hours a showers with some moderate rain is affecting areas south of Pompano. As we go into the the afternoon showers will be more widespread with a possible thunderstorm. High today will be 80F. 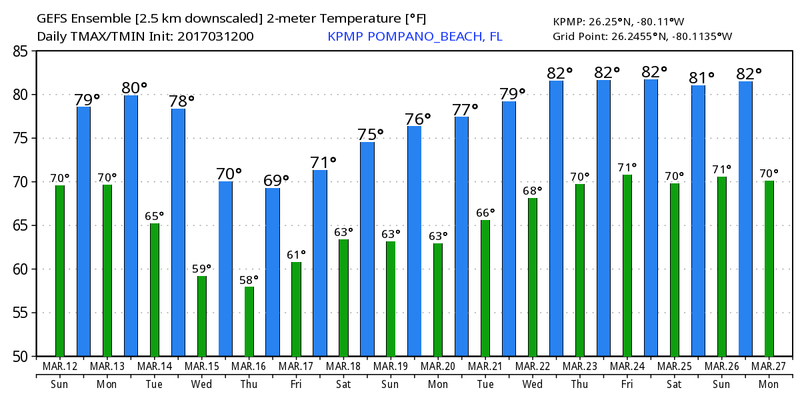 We could see some cooler weather for the later part of this work week as our highs dip below 80F as indicated on the the latest GEFS. Hope all of you recover from the “lost” hour of sleep and do keep the umbrella near. 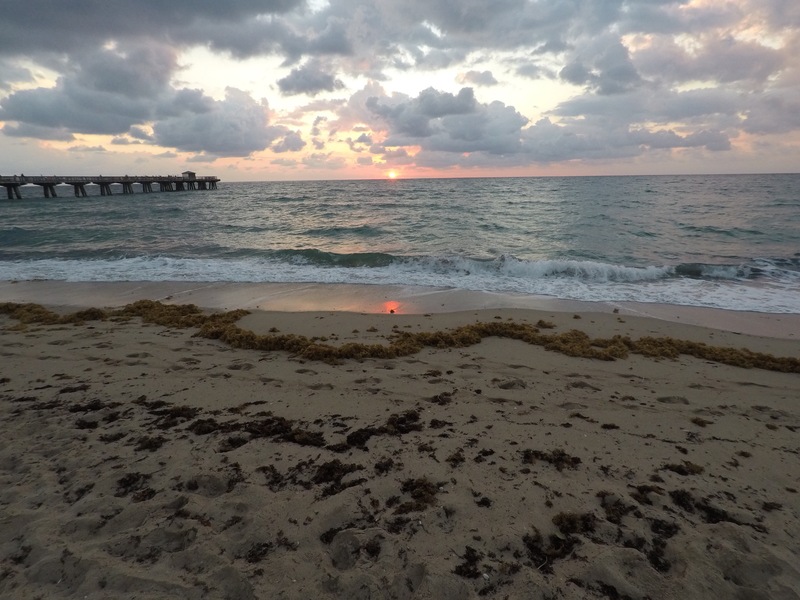 Leaving you with a picture from sunrise in Pompano this morning.